At Windstar Lines, charter bus safety and reliability are paramount. We go to great lengths to ensure that every driver is trained to the highest possible standards and our fleet is modern, well-maintained, and meets or exceeds industry regulations. 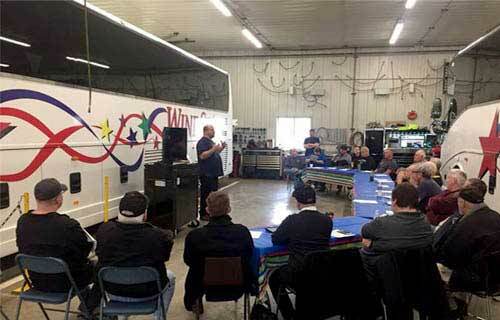 As this industry constantly changes and evolves, our team of Safety Directors, Operations Managers, and Maintenance Technicians work diligently, with ongoing efforts, to ensure our coaches perform exceptionally and that our drivers dedicate themselves to industry-leading safety.